The School of Informatics offers two types of online learning programme: postgraduate qualifications and Massive Open Online Courses (MOOCs). We plan to offer a number of high-quality, credit-bearing postgraduate programmes that are delivered entirely online. 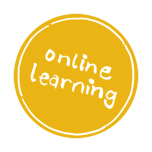 We also offer a range of MOOCs, which are free, short courses that can be taken by anyone from anywhere online. Both are part of our contribution to extending access to world class higher education. Online learning is a way of studying for an internationally recognised University of Edinburgh postgraduate qualification without needing to visit the campus. Online learning enables you to obtain a high quality degree, identical to our on-campus qualifications, delivered flexibly and fully online. This means wherever you are in the world, you can achieve a University of Edinburgh degree without ever needing to come on campus. Online learning is predominately aimed at those who wish to study for a postgraduate qualification alongside ongoing work or other commitments. The School of Informatics plans to offer a MSc, Diploma or Postgraduate Certificate qualification in Data Science with entry starting in Autumn 2015. Further details will be available in Spring 2015. Enrol in one of our free Massive Open Online Courses (MOOCs), which are short, online programmes that are open to everyone. A MOOC is an online course aimed at unlimited participation and open access via the web. In addition to traditional course materials such as videos, readings, and problem sets, MOOCs provide interactive user forums that help build a community for students, professors, and teaching assistants. Online learning is supported via the Moodle virtual learning environment and virtual world meeting spaces. This entry was posted in Informatics and tagged Informatics, MOOC, Online Learning. Bookmark the permalink.